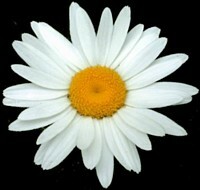 Free Stained Glass Patterns... dot com! Free stained glass patterns are here! This site features only stained glass patterns for windows and panels. All patterns are free. Absolutely and completely free. Each stained glass pattern pattern page features both a black and white and a colored version to give you color ideas, if only as a starting point for you to improve on! Recently I have begun to include full size patterns. Just below the series of black and white versions, you will see a small, but complete, black and white version of the pattern. It looks small on your screen, but if you right-click on it, as save to your computer, you will be saving a full size stained glass pattern which you can use to resize as you please. Stained glass patterns are regularly added. With this website, I am trying to create a collection of unique, yet classical designs. This website is not a static entity, it is a living, breathing, and growing creature. On the menu to the left, you will see that the patterns have been divided into sets. This is to allow for maximum growth. There are already over 600 unique stained glass patterns on this site, some for beginners, and some for experienced stained glassers. I hope free-stainedglasspatterns.com will help you make projects that you are proud of, enhance your home, or that make lovely presents regardless of your skill level. Stained glass patterns... for every craft. The stained glass patterns in this collection are ideal for a variety of crafts, and have been used either directly, or after some adaptions, for diverse crafts that include: scrapbooking, clipart, stationary, greeting cards, scroll saw, needlepoint, cross-stitch, embroidery, quilting, ceramics, painting, miniatures, doll houses, model trains, Christmas tree villages, glass plainting, coloring, patchwork, even elaborate jacquard knits! I never cease to be impressed with the visitor's creativity and resourcefulness. I truly enjoy all the photographs I've been receiving. The patterns can be used directly as "paint-by-number" patterns to reproduce a similar design on various supports and media such as watercolors, Tolle painting, card making, scrapbooking, gourd painting, acrylics, oils, rubber stamping and holiday crafts. The simplest designs are readily adaptable for quilting, and the more complex one just need to be enlarged until they reach a scale and level of detail compatible with your quilting technique. For kids, free stained glass patterns are great for coloring. Not to mention how they can make faux stained glass with silk paper and black cardboard. Permissions for use of the stained glass patterns are very simple. As long as you are an individual crafter making and selling your own crafts, you are welcome to create crafts from the patterns for gifts, even for sale. Do not, however, post the patterns and illustrations on other websites. For anything else, do contact me. To print your free patterns: simply right-click on the black and white cartoon images that are laid out below the coloured image of the pattern, and "save as" on your computer. Print from a non-scaling graphic software such as the barebones "MS Paint" which is somewhere on your computer if you have Windows. No fancy downloading functions... save and print! Commissioning a stained glass design: I offer design services, but only for large-scale projects, like churches, movie sets, and big windows. Not finding the stain glass pattern you are looking for? 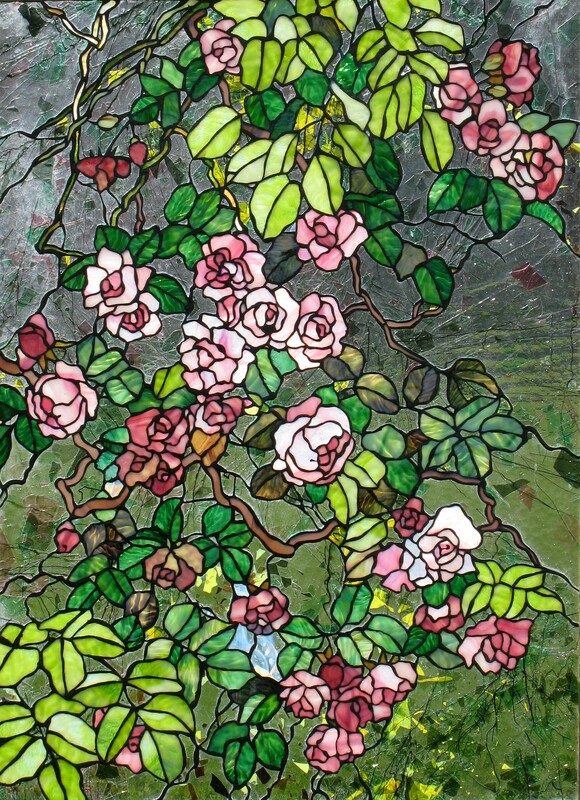 If you are looking for a particular stained glass design, I highly recommend Find Stained Glass Patterns. 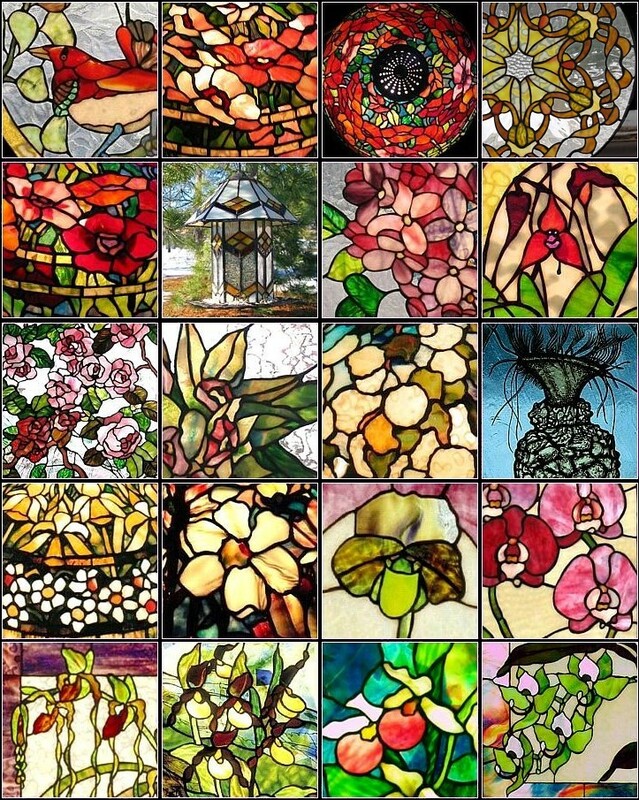 You will find stained glass patterns for free, for sale, and books, all categorized by topic. The categorization by topic will make your stained glass template search much faster, and easier! Have an idea for a stained glass pattern? If you can't find the pattern you are looking for, and you think the subject matter might have appeal to other stained glass crafters, feel free to make a suggestion in the Stained Glass Town Square's Pattern Suggestion Box. 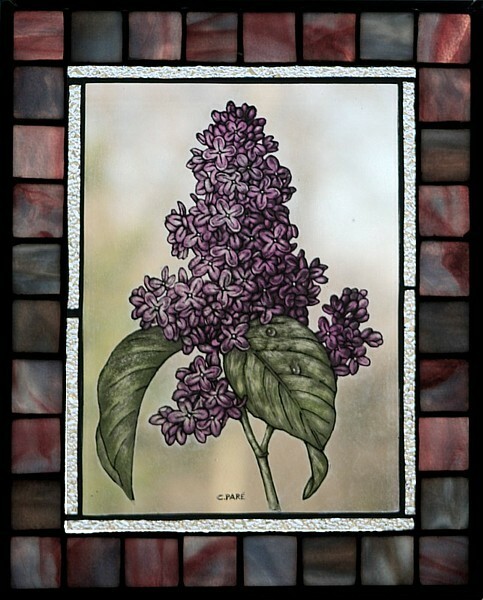 Visit Art of Stained Glass for free video and photographic instructions. Great if you wish to know what stained glass entails before taking up this addictive hobby! All patterns on this site are designed by Chantal Paré using nothing but markers, paper, a scanner, and PhotoShop (for straight lines and coloring.) There is no substitute for hand-drawing. You can always tell an hand-drawn stained glass pattern from those mostly made by computer. They have that certain something... soul. I make a special effort to ensure all pieces can be cut with an ordinary carbide wheel glass cutter, and I feel that the process and the pace of drawing by hand help me pay close attention to cuttability. Computers are still irreplaceable for geometric designs. I sincerely hope that Free-stainedglasspatterns.com will become your favorite source for classy patterns that are lovingly done, in the spirit of sharing!